If you want more freedom from spectacles, then contact us to make an appointment for your FREE trial. 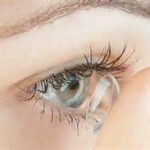 Contact lenses are more comfortable than ever to wear and offer freedom from glasses. We offer daily, 2 weekly and monthly disposable lenses. Most lenses are available on a planned replacement scheme, and patients can benefit from a discounted regular payment option. The technology of contact lenses has advanced in recent years so that they are more suitable for a wider range of prescriptions, including higher levels of astigmatism and varifocal lenses. 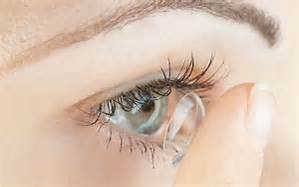 We provide a fully comprehensive contact lens fitting service coupled with independent advice. This ensures you receive the most comfortable lenses to provide optimum vision. At Molsom & Associates we ensure we remain at the forefront of advances in contact lens technology as improved designs and materials are constantly introduced to the existing product ranges. These are soft lenses designed to be worn once only and then disposed of. Each lens is sterile and packed individually to ensure safe and easy wear. They can be worn everyday or just occasionally eg. sports or social wear. Also available in colours. For more frequent wear, a monthly or two-weekly disposable lens may be more suitable. These are designed for daily wear and require a regular but simple cleaning process. Also available in colours. Toric lenses are necessary for people with astigmatism (asymmetry of the front surface of the eye) and provide clearer vision. They are available as daily, monthly or annual replacement lenses. These lenses are suitable for people who currently wear varifocal spectacles and provide clear vision at near and far distances. Available as daily, frequent replacement or annual replacement lenses. These are made of a rigid material and are slightly smaller in diameter than a soft lens. These can be worn for longer hours than soft lenses and are designed for frequent daily use. Available only as six monthly/annual replacement. With monthly payment plans available why not come and see us to discuss your contact lens requirements.